What better way to spend your twilight years than with an elderly cat for company? 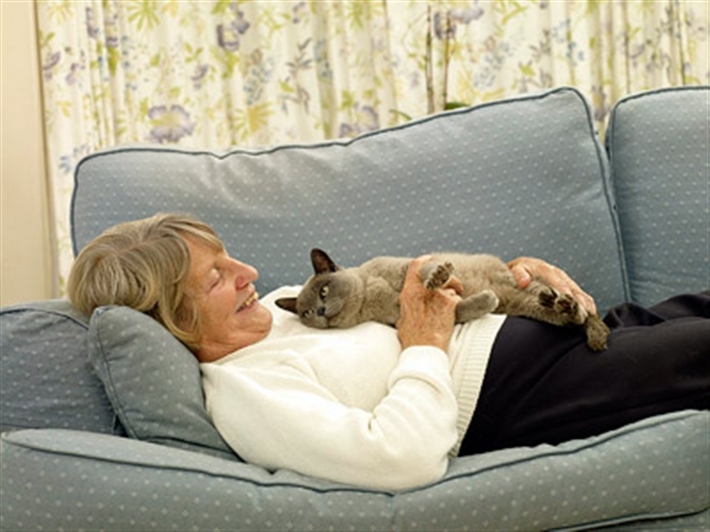 Jill Eckersley discovers that, with a little reassurance and some helpful assistance from Cats Protection, a golden oldie can be the perfect companion and, in fact, just what the doctor ordered! Cats, like people, are living longer these days. Many cats don't show any signs of aging until they are well into their teens,and 'feline' centenarians' of 20-plus are not that unusual! Linda Hutchinson is coordinator of CP's Ely branch, which has had considerable success in rehoming older cats to older people. "Rehoming golden oldies can be a problem". she admits, "but it doesn't have to be. We positively encourage older people to take older cats as they have lots of advantages. An older cat won't get under your feet,will already be litter-trained and less inclined to worry his owner by staying out all night!" "We are 'people' people as well as cat people," she says. "We will discuss any worries about adoption before we rehome the cat. If I'm rehoming a cat to an older person I will make a point of talking to the extended family and any carers as well. I homed a 12 year old puss to a lady in her 80's whose district nurse buys the cat food for her, and knows she can call me if there's a problem. I also homed an elderly blind cat to a retired gentleman with a promise that we would take the cat back if things didn't work out - but they did! 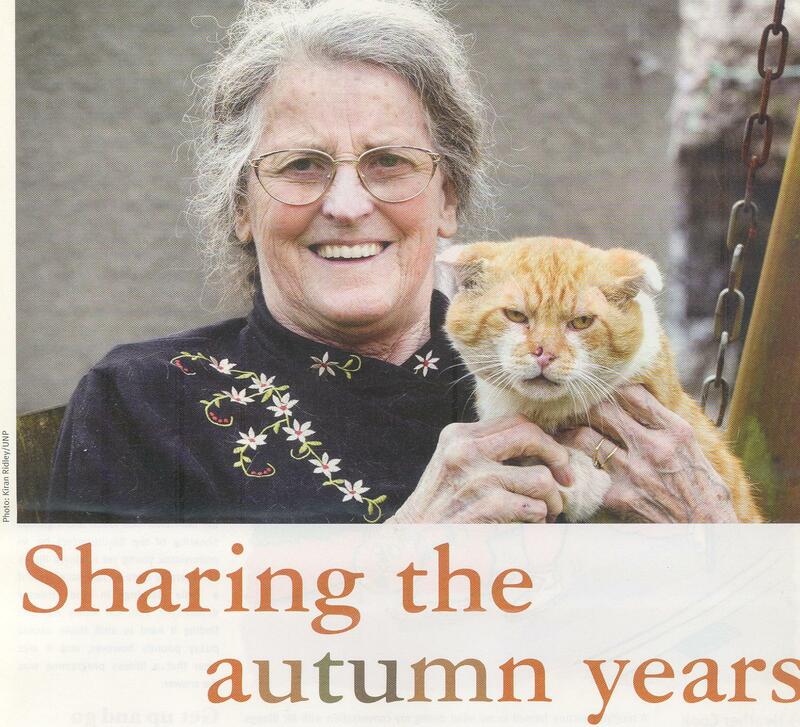 "Rehoming and elderly cat to an elderly person is not only rewarding but it proves that Cats Protection is here to help both cats and people," says Graham Hoult of the Wharfe Valley branch. "We provide support, and spend time assessing every phone call we get and finding a solution to any difficulty." Kipling looked like a feather duster when he moved in. He was found straying with his rear end matted and in a dreadful state but he's a beautiful old boy now, and such a soothing companion. if I have any worries with anything I k now that I can call on CP to help me out. I would recommend an oldie to anybody." 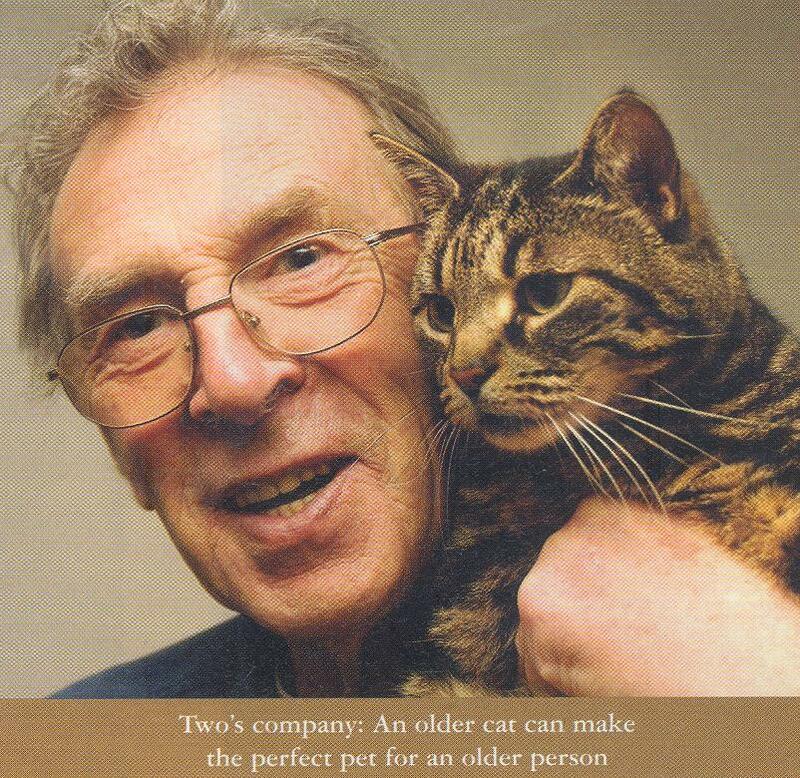 For further information on the benefits of rehoming an older cat see In Praise of Older Cats.